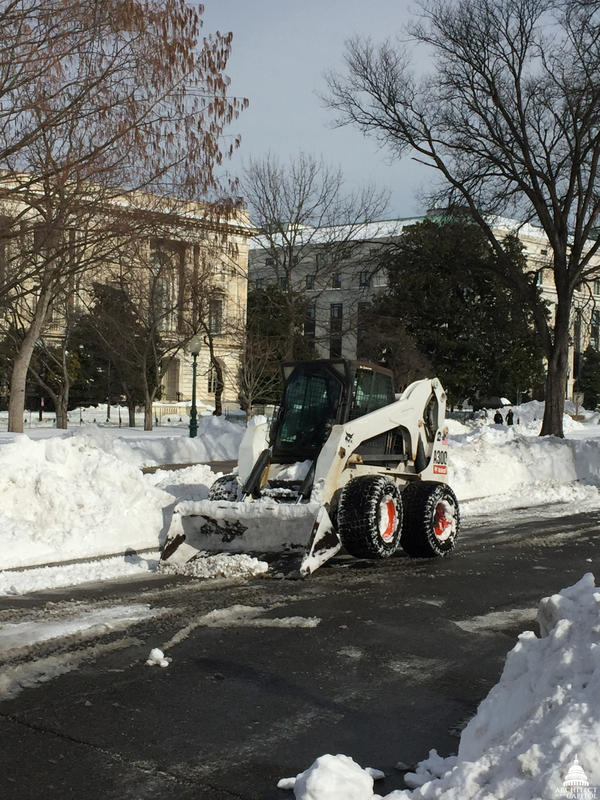 Less than 48 hours after Winter Storm Jonas began dumping snow from the skies over Washington, D.C., Architect of the Capitol (AOC) crews successfully removed snow to make ​14 miles of sidewalks, 7 miles of streets and drives and 20 acres of plazas and parking lots accessible for the Capitol community. Throughout the historic storm, approximately 350 AOC employees worked around-the-clock. High winds and the vast amount of snow slowed progress on Saturday, but clear skies and sunshine on Sunday and Monday provided the perfect weather for the big dig. The AOC operated more than 100 pieces of snow removal vehicles and equipment, as well as countless numbers of tried-and-true snow shovels. 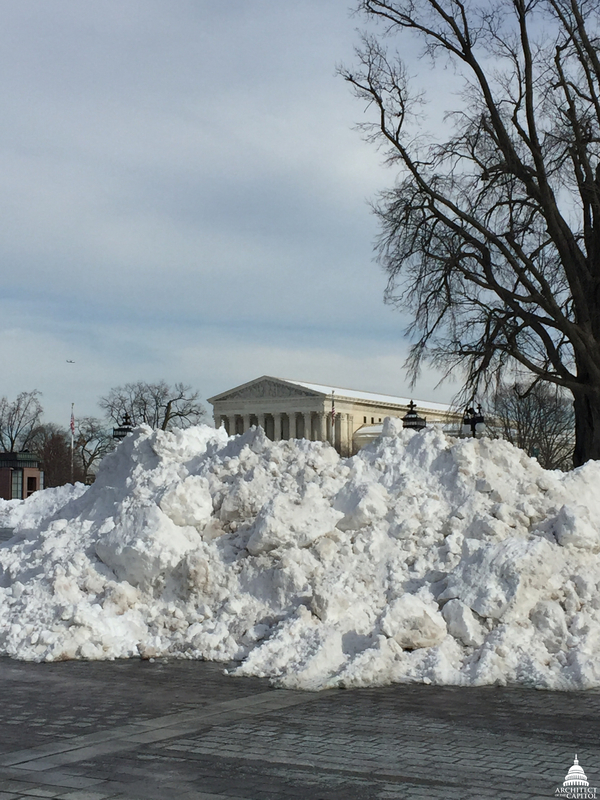 "We have removed a tremendous amount of snow from the Capitol campus thus far. Our focus right now is to keep our people going and our equipment fueled, repaired and functional," said Ken Eads, Director, Office of Security Programs, who coordinated the effort for the AOC. Crews monitor conditions on the campus overnight and collaborate with our partners on Capitol Hill and in Washington, D.C., to ensure that morning deployments—including deicer, salt and plows—are most effective. As evening and overnight temperatures drop, crews will again monitor surface temperatures to identify melting and refreezing conditions. 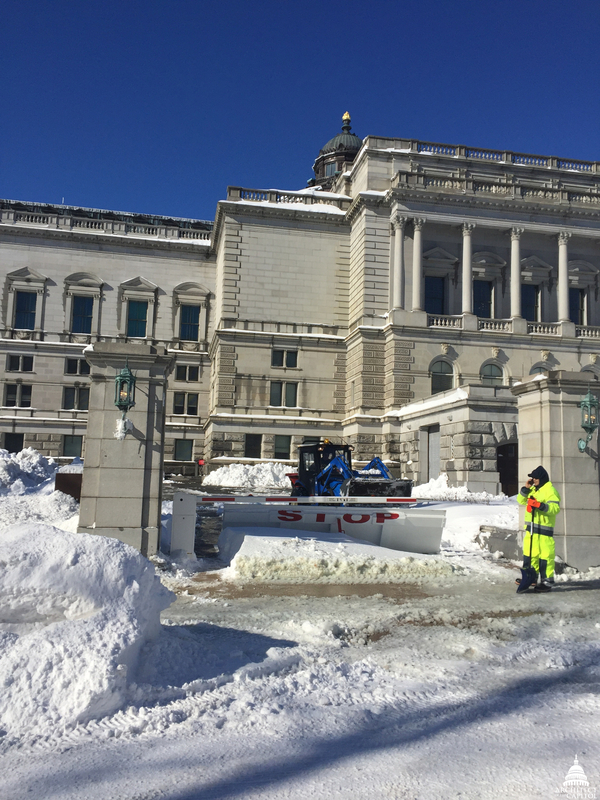 "We are proud of our dedicated workforce," says Christine Merdon, Chief Operating Officer, who has been on the Capitol campus throughout the storm and big dig. 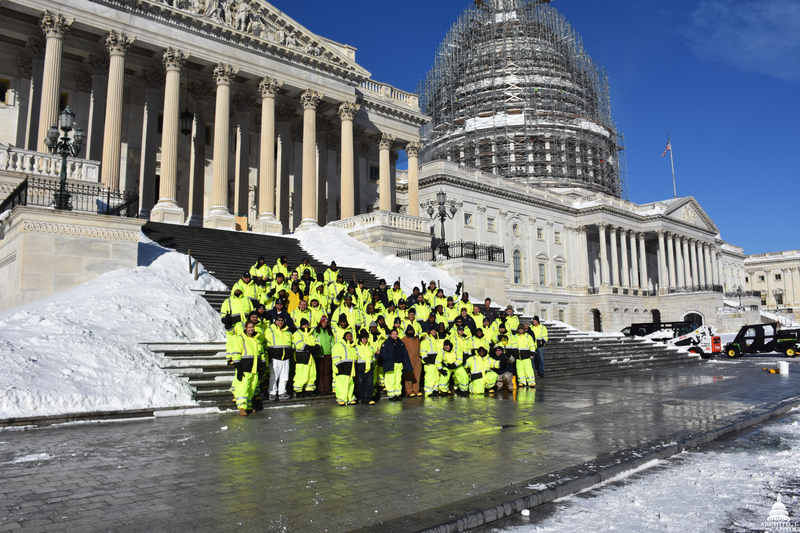 "The men and women of the AOC who are clearing snow and ice from the facilities and grounds of the Capitol complex are away from their families. They are doing a remarkable job making the Capitol accessible for the congressional community. Our work continues."